CNWP Chair and Socialist councillor Dave Nellist confirmed the steps taken at the conference. �We agreed a number of policies to use in our campaigning, including opposition to racism and the BNP, a living minimum wage of �8 per hour, immediate withdrawal of troops from Iraq and Afghanistan, a radical extension of democracy including proportional representation, and working for a democratic socialist society based on public ownership and protection of the environment,� he stated. �We also agreed a number of strategies to build the basis for a new mass workers� party. 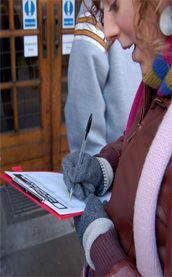 The Conference was excited about the prospects of forming a new and radically different socialist challenge to the establishment, and it expressed its determination to campaign against cuts, privatisation and the BNP, organise a CNWP speaking tour, organise fringe meetings at all major trade union conferences, co-ordinate the political work of left councillors, and produce regular newsletters. It was a very positive conference, and I am certain we will now move further forwards. There is a vital need for a new left party and we have now done the groundwork. Our campaign will soon turn into a major electoral threat to the establishment parties,� he concluded.